Medical Malpractice occurs when a clinic, specialist, or other medical provider, through carelessness, a negligent act or oversight, causes injury to a patient. The negligence may be caused by mistakes before, during or after treatment. Negligence of the medical provider is measured on whether the patient would have received a similar standard of care from another medical professional under comparable conditions. Essentially, medical malpractice refers to the professional negligence of a medical practitioner which causes harm to the patient under their care. Professional negligence can be defined as an erroneous diagnosis or improper treatment of an ailment which causes the condition of the patient to deteriorate. From failure to diagnose properly, to surgical errors, there are a plethora of actions which constitute as professional negligence. Even a minor violation in the standard of healthcare can constitute malpractice only if it has caused injury to the patient. Even if negligence is established, a medical malpractice claim cannot be justified and validated until it is proven that the patient suffered injury due to the negligence of the doctor. Only where it can be established that the injury or harm was suffered due to the professional negligence, can a claim of medical malpractice be justified. Therefore, it must be recognized that in medical malpractice claims the onus of proof is upon the claimant – which in most cases is the patient or his/her family. 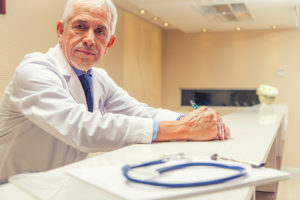 If you feel you have been a victim of negligence by your doctor, you must first assess whether you have a strong medical malpractice claim or not. Since ligation is an expensive exercise, the injuries suffered by the patient must be significant enough to build a winning case. Under the law, you could be entitled to compensation if your lawyer is able to prove a case of medical negligence. Following a 2010 Supreme Court decision, patients or their families are now allowed to claim and collect non-economic damages in malpractice cases. This effectively restored the types of damages you can receive by filing a lawsuit against a medical practitioner or institution for malpractice. If medical malpractice caused injury or the wrongful death of a loved one, you should seek the help of an attorney that will help you get justice and compensation. For more information or to schedule a free consultation, contact Fisk & Monteleone today at 815-962-0044 to speak with an experienced medical malpractice attorney.